Ultraviolet ray (UV) LED with its wavelength can eliminates germs and viruses and be used to disinfect water, air and surface for medical and biotechnology application. UV light also reacts with particular substances chemically to be utilized in curing and light exposure equipment. Last year, LG Innotek successfully developed the 100mW UV-C LED; it boasts the world’s highest light output and can wipe out 99.9% Salmonella, one bacteria causing food poisoning, in 3.4 seconds. 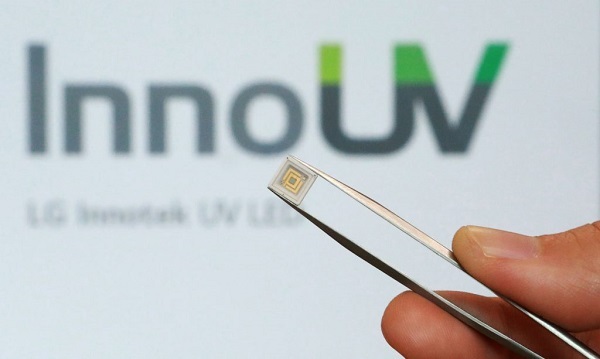 The new brand logo of “InnoUV” will be applied to all 40 types of the UV LED packages and modules developed by LG Innotek. And once negotiated with LG Innotek, companies can also use “InnoUV” logo on exterior, packaging and promotion materials of finished UV LED products. LG Innotek expects to build a high-quality standard represented by the new brand and promote the environmental-friendly feature of UV LED.